Hamilton Litestat has expanded its circuit protection range in accordance with The 18th Edition of the Wiring Regulations, to include two new surge protection devices (SPDs), providing safeguarding against transients that could prove harmful to connected equipment. Transients originate from lightning or the switching of transformers and motors, and can cause serious injury and potentially loss of life, as well as destroy electronic components or cause premature ageing of equipment. SPDs are therefore recommended to prevent such damage. 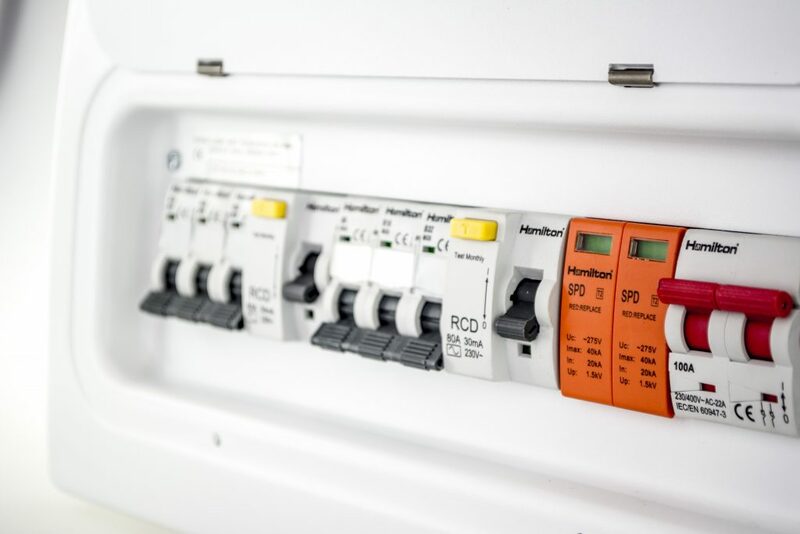 A provider of circuit protection products – including its sleek and stylish contour and convex consumer units – Hamilton now offers two versions of its ‘Type 2’ SPD: a one-pole device and two-pole device. 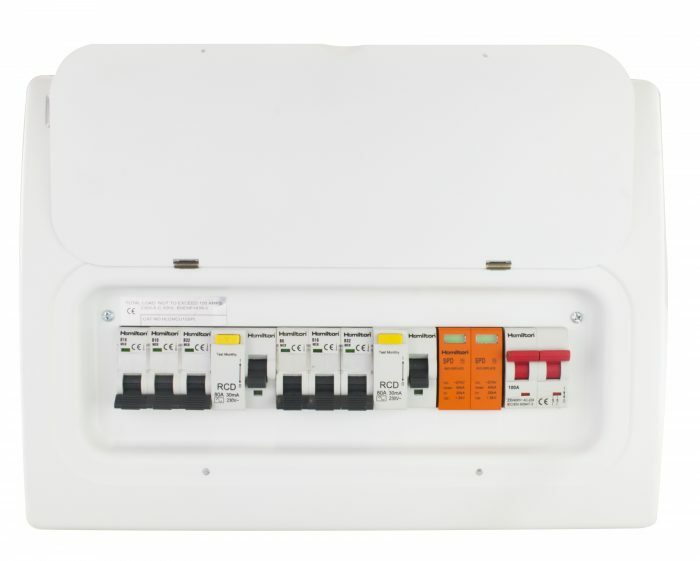 The solutions fit snugly inside the Hamilton consumer units and are recommended to protect against the spread of over-voltages to vulnerable and expensive equipment, such as laptops, PCs, washing machines, alarms and televisions. Hamilton’s team can offer support and advice on the most appropriate solution for your project. For more information, and to contact Hamilton, visit www.hamilton-litestat.com.